Licensing spectrum will ensure nationwide broadband access for all citizens by 2020, says ICASA. The Independent Communications Authority of SA (ICASA) has invited telecoms operators to apply for radio frequency spectrum in the 700MHz, 800MHz and 2 600MHz bands. In a statement, ICASA says the invitation for applications for spectrum will help operators provide mobile broadband wireless access services for urban and rural areas. "The main aim of licensing 700MHz, 800MHz and 2 600MHz is to ensure nationwide broadband access for all citizens by 2020 in line with the National Development Plan and SA Connect policy." 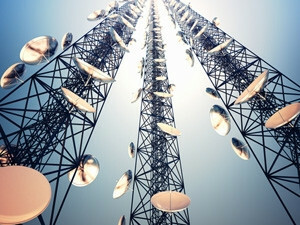 The telecoms regulator adds: "The licensing of this spectrum will go a long way in prioritising connectivity in rollout obligations throughout the country, promoting investment in the sector to facilitate economic growth, prescribing high standards for quality of services, and implementing measures to promote affordability of services." South African mobile operators have long been calling for additional spectrum, but there has been slow movement towards auctioning the spectrum. The move by ICASA allows larger operators like MTN and Vodacom to apply for the spectrum they need to provide quality network and mobile broadband services to customers. "SA experiences continued growth in demand for more spectrum as a result of significant growth in data traffic," says the regulator. "The lack of availability of spectrum for international mobile telecommunications (IMT) brings constraints and challenges in the provision of broadband services. In order to address SA's bandwidth deficiency, the current allocated bandwidth of 567MHz IMT spectrum needs to be increased. "ICASA believes that mobile telecommunication technologies are a critical component in achieving the goal of 'broadband for all citizens' in SA. ICASA is therefore inviting applications for prospective licensees for the licensing process of the IMT spectrum," it notes.